It Could Have Been Called Hedgehog Day Photo credit: By Marumari at English Wikipedia - Transferred from en.wikipedia to Commons., CC BY-SA 3.0, https://commons.wikimedia.org/w/index.php?curid=1779877. The origins of Groundhog Day go far back to before the Christian holiday of Candlemas began; previously, it was called St. Brigid's Day, which was a Christianization of the old holiday of Imbolc (which is still celebrated at the beginning of February by many Wiccan and neopagan traditions). But the addition of an animal weather prophet started sometime later, with German farmers who wanted a way to figure out how long the winter (i.e., the season when they couldn't really grow anything) would last. They looked to nature and animals that seemed to follow seasonal cycles, and the best one they found was the hedgehog. When people used to that tradition came to the United States, they couldn't find hedgehogs to help them out but noticed that groundhogs seemed to follow a similar schedule. 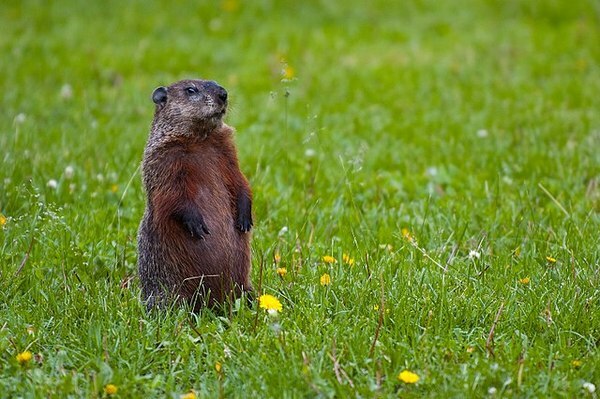 More Than One Groundhog Is Used to Predict the End of Winter Photo credit: By Chris Flook - Own work, CC BY-SA 4.0, https://commons.wikimedia.org/w/index.php?curid=69136174. Punxsutawney Phil is the most famous groundhog and gets national attention, but he's not the only furball on whom townspeople rely for dodgy predictions. 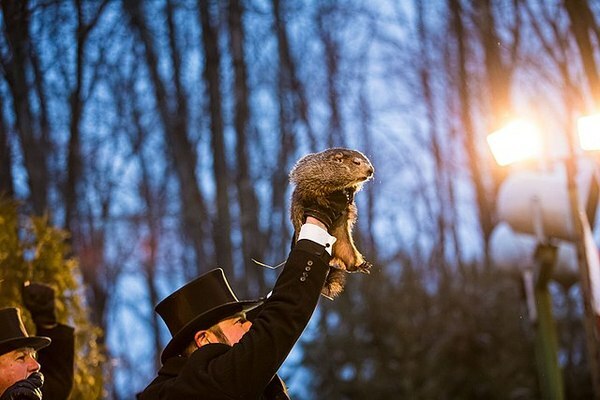 Georgia, North Carolina, and Alabama all have their own local groundhogs to help figure out when winter will end. This isn't surprising because not only do people like to have their own local version of a fun event, but the late-winter weather in Pennsylvania is going to be a lot different than that in places like Alabama. It only makes sense that the state would want its own version. More Than One Groundhog Can Predict the End of Winter Whether or not Punxsutawney Phil's predictions hold up, there is a connection between groundhogs and the end of winter, and it doesn't really have to do with their shadows. Early February is when a lot of male groundhogs wake up from hibernation and go scope out the females of the species in preparation for mating, which takes place in March. Hibernating animals, in general, have internal clocks that help wake them up, but they can go back into hibernation mode if the weather is too cold (in fact, there have been cases of bats and bears waking up too early because of warmer weather). If you manage to see a number of groundhogs in February, then, that means their internal seasonal clocks are working, and they've decided spring is on the way. The Weather on Candlemas Day Used to Be the Key to Weather Prediction Remember the German farmers who looked to hedgehogs to predict the end of winter? The weather on Candlemas itself used to be a predictor. People believed that if Candlemas was sunny, winter would last about another six weeks. The idea of animals seeing their shadows and thus predicting more winter weather likely sprung from that. After all, animals can't see their shadows if it's not sunny. Chances Are Punxsutawney Phil's Prediction Won't Be Accurate Regardless of seasonal indicators and whether or not February 2 is sunny, Punxsutawney Phil's predictions are not really accurate. Overall, he's been wrong almost 61 percent of the time, and when you look at how his predictions have held up in specific regions, he fares even worse. For example, in Columbia, South Carolina, he's been accurate only 36 percent of the time since 1950.